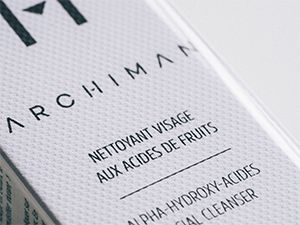 Archiman is a brand of grooming products for men based on natural ingredients and with none of those controversial ones (#Archiblacklist). We’re going to reveal the Healthy Male dormant in each of you. Archiman is the subtle combination of French “savoir-faire”, respect for Men and respect for their environment. Put your skin under acids! You'll see that it will never be the same again.